This is a great bag, good size pockets, plenty of room for wet clothing and very comfortable and exceptional build quality. 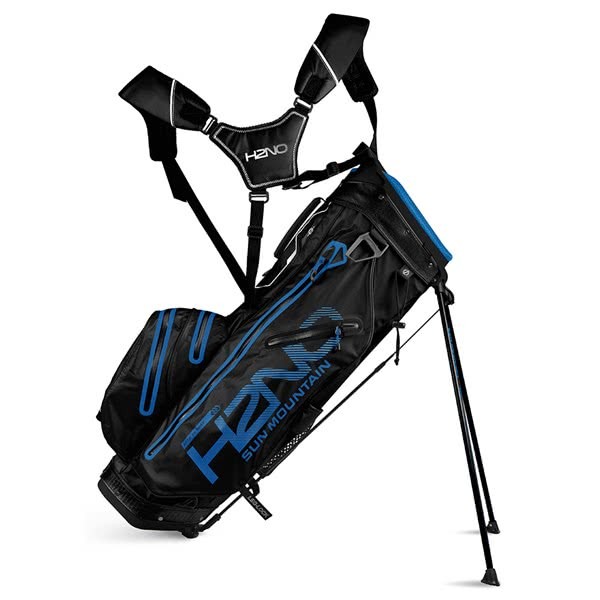 The only gripe I have with this bag is when picking it up the legs don't retract fully which can bang against your legs, I have exchanged one bag and the second bag was much better but still not perfect. The bag is so good on everything else I decided to put up with the one concern I have. I do think Sun Mountain who pride themselves on quality should look into this. 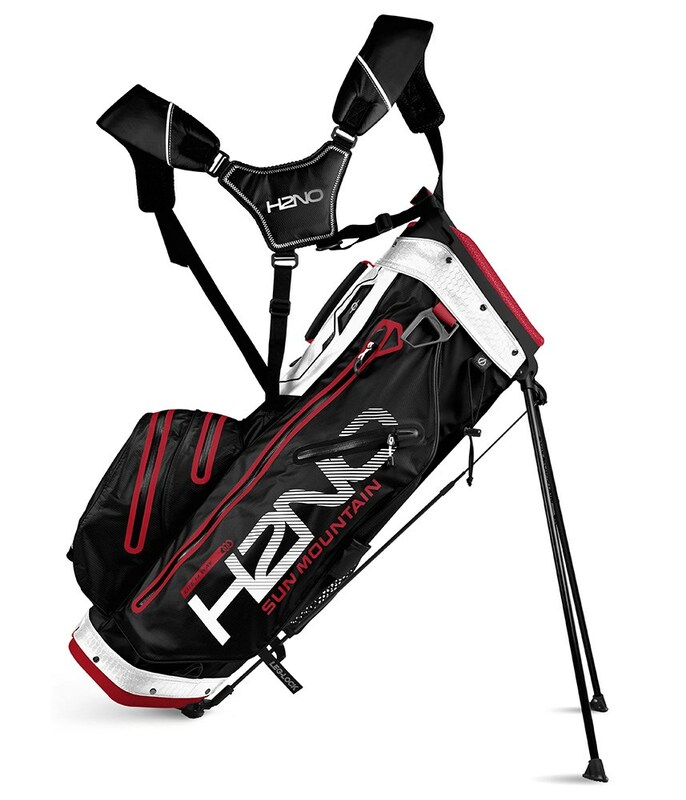 This bag is an excellent choice for a lightweight and waterproof carry bag with 14-way dividers that make handling clubs in wet weather straightforward. The strap is easy to adjust and the outside net pocket to carry spare balls and other sundries is a useful addition to previous models. I have a couple of minor issues with this design. First, the rainhood has a rather pointless transparent window that makes it difficult to fold up small for storage inside the bag. 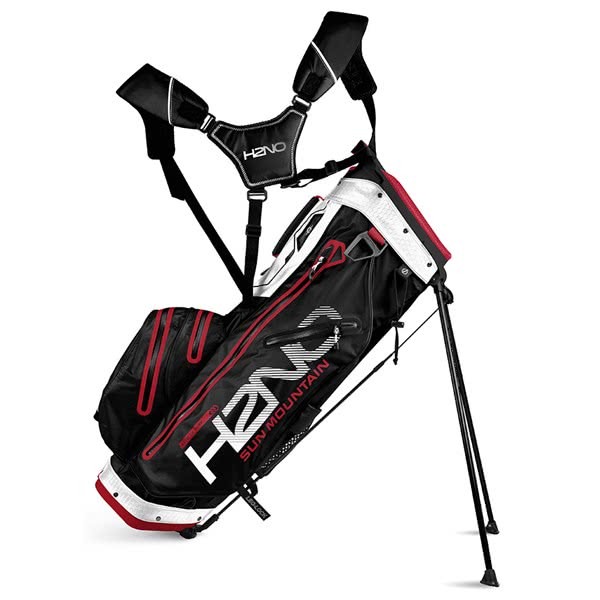 I already know what clubs are in my bag - I don't need to see them through the hood. Also, the top of the umbrella is secured by a drawstring which, from previous experience, is likely to fray and break. Older models of Sun Mountain carry bags had a sturdy plastic ring that was much more suitable for this purpose. If it isn't broken, don't fix it, Sun Mountain. The Sun Mountain H2NO Lite waterproof stand bag has been created for the golfer that carries the majority of the time and wants maximum organisation. It’s 14-way, oversized top design features full-length dividers for the best possible club management and protection. The flared top also allows for easy club removal, and the top also features an integrated grab handle for easy lifting and lowering. 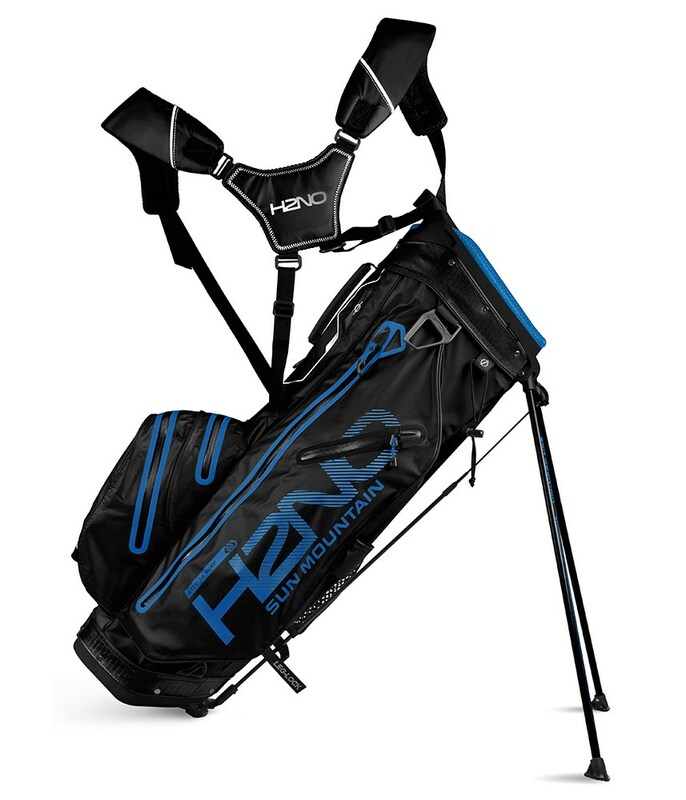 Sun Mountain have used their excellent ‘H2NO’ waterproof fabric, taped all the seams and used highly water-resistant YKK zippers to make the bag watertight and protected against the elements. 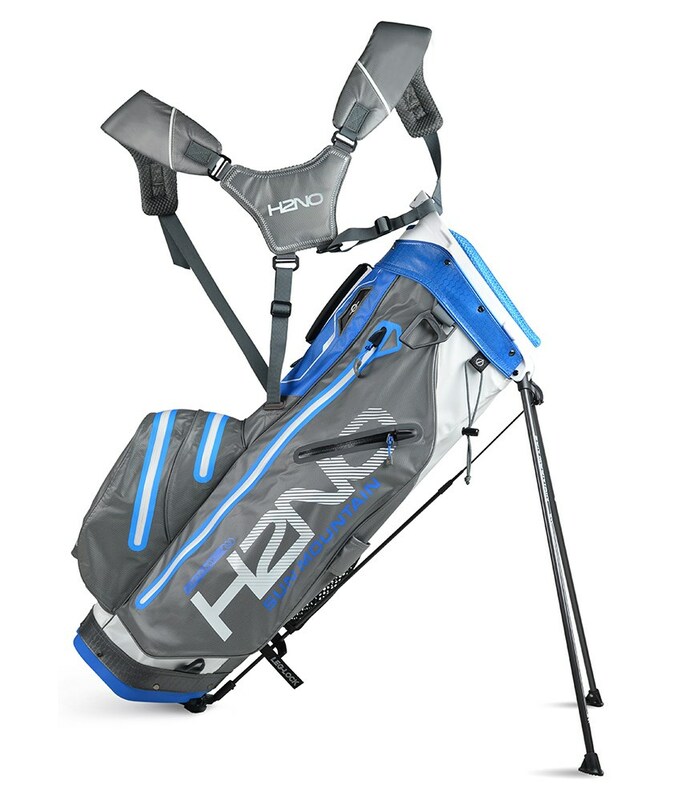 A total of 5 pockets have been used on the H2NO Lite stand bag, all of the pockets have been positioned for ease of use when on the move, the five pockets include a full-length apparel pocket, lined valuables pocket and two smaller pockets ideal for smaller accessories. To provide maximum carrying comfort and balance the E-Z Fit dual strap system has been used, a padded mesh hip pad features a Zero-G tunnel that will allow you to attach the Zero-G strap that you can attach round your waist for improved carrying comfort. 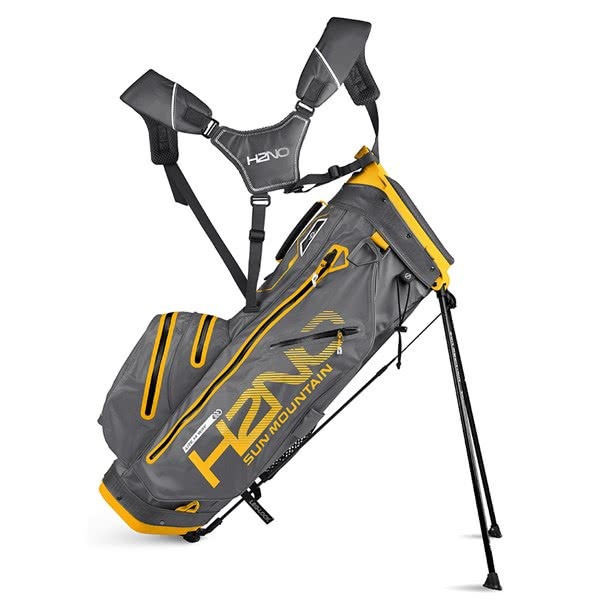 A top mounted stand mechanism provides excellent stability on all types of surfaces and a leg-lock system allows you to secure the legs in place when travelling or storing.